Judging by the happy reunion photos that TMZ posted yesterday, it seems Cardi B is hanging on to her man- literally. 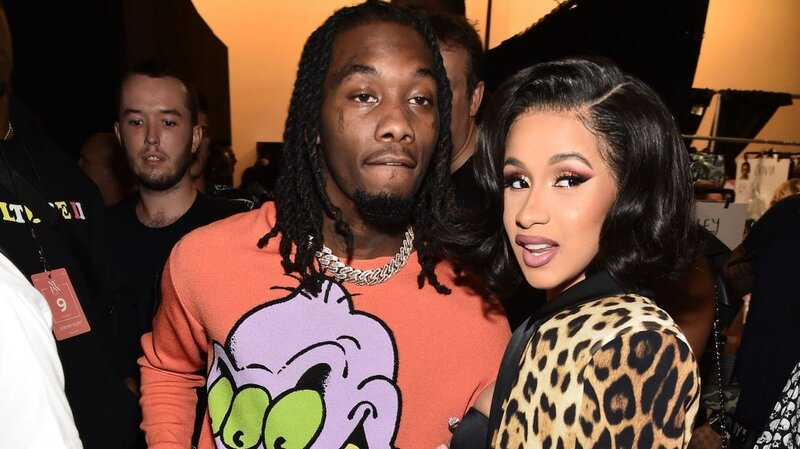 The multiple images show Cardi and her not so estranged husband, Offset together on a jet ski off the coast of Puerto Rico. Eyewitnesses tell the outlet that “they seemed very much like a couple” as they “laughed and played” together and with friends. Friday’s reunion comes just days after the member of The Migos disrupted his wife’s headliner performance at the Rolling Loud festival to apologize for his alleged infidelity. “That relationship is so toxic. Imagine being in her situation and being cheated on and mentally manipulated with and you finally say enough is enough but the whole world wants you to continue to be in that toxic relationship,” wrote one Twitter user. Even the father of the Atlanta-based rapper, Michael Woodward, added his two cents to the mix by publicly bashing his “hot headed” daughter-in-law. “It’s a tic for tack, mudslinging, situation fueled by jealousy, envy, insecurities, psychological issues, drugs, etc. etc., etc.,” Woodward posted to the Facebook group of his fraternity Alpha Phi Alpha, regarding why the love was lost between Cardi and his son. “Like most young adults, he doesn’t always do what he’s advised to do, but we are talking about a 25-year-old with an unlimited supply of money, women chasing him, people at his disposal, etc. Couple that with a hot headed female that thrives off of social media attention and is on the same financial level as/above him and it’s a recipe for disaster,” he added. It wasn’t all play for the “Money” rapper, as she had a set Friday night in San Juan at the Electric Holiday festival. Meanwhile, Cardi B and Offset’s reunion further fuels speculation that their breakup was nothing more than a lame publicity stunt to boost their profiles ahead of Grammy season and to help sell his new solo album.